2 Bedroom Flat For Sale in Norwich for Offers in excess of £150,000. A first floor two bedroom apartment set near county hall with parking and an option to convert the attic space. Set at the end of Bracondale access into the city centre could not be easier with buses stopping close by. It is a short walk to the riverside development which offers a variety of restaurants, bars and cinema with the mainline station situated just beyond. With a large Morrison's supermarket and leisure centre close by everything is on your doorstep. Crossing the Yare takes you into the picturesque village of Trowse which has a charming village green and several pubs. Turning left will take you Whitlingham park with numerous walks and a large lake which offers various water sports options. By car the A47 and A11 are set close by giving access across the County. Offered with a share of the freehold, this modern first floor apartment is a great buy. With an entrance arch leading to a car park with a sheltered allocated space there is a communal front door with stairs up to the apartment. With a large, light and airy reception room with views over the gardens behind the main room is a lovely space to entertain. The two bedrooms are well proportioned and both have easy access to the shower room. With a long lease and an option to convert the roof space into extra accommodation there is further potential to unlock. 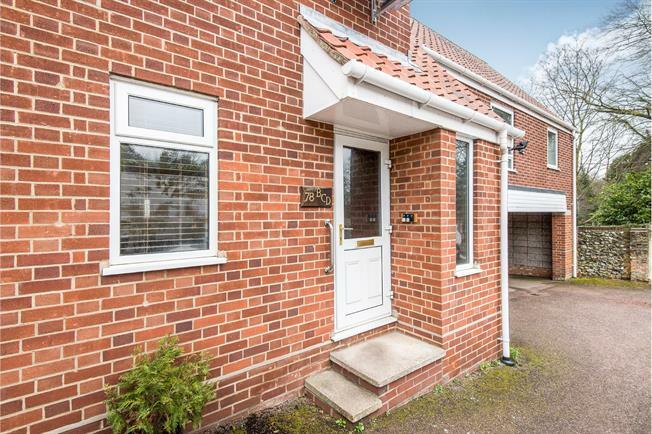 Having been successfully rented out this would be perfect for investors as well as private buyers and offered with no onward chain makes it an simple purchase.